« It’s Time for 5th Grade Bicycle Poster Contest! The Association of Pedestrian & Bicycle Professionals (APBP) announced the winners of its annual awards program to honor excellence in the profession. Four Professional of the Year awards will be presented at its annual meeting in St. Louis on September 30, 2015. The Professional of the Year Awards recognize the achievements of four pedestrian and bicycle professionals made during the 12-month period between the summer of 2014 and the summer of 2015—one private sector professional, one public sector professional, one nonprofit sector professional and one young professional under the age of 30. The 2015 Professional of the Year-Public Sector goes to Sean Co for his work as a Transportation Planner at the Metropolitan Transportation Committee. Mr. Co is now with the Toole Design Group. Jessie Holzer, Mobility Deputy, Office of Councilmember Mike Bonin, City of Los Angeles, received the coveted Young Professional of the Year award. Jessica Roberts, Principal, Alta Planning, received the Private Sector Professional of the Year award. The 2015 APBP Lifetime Achievement Award was presented to Deb Hubsmith, Founder of the Safe Routes to School National Partnership, at a private ceremony at her home just prior to her death on August 18. APBP is very grateful to APBP member Wendi Kallins for making the presentation to her long-time colleague and friend. Ms. Hubsmith was an inspiration to all APBP members. The Lifetime Achievement Award recognizes individuals who have made a substantial commitment to the profession and who have shown excellence in the field of bicycle and pedestrian planning, design, advocacy, and/or education. The award distinguishes those whose vision and determination have made their communities better places to bicycle and walk and who inspire others to succeed. Sean Co served on the planning committee for Moving Active Transportation to Higher Ground: Opportunities for Accelerating the Assessment of Health Impacts conference in April 2015. There, he shared his work to develop one of the first methodologies to assess the health impacts of active transportation projects for the Bay Area Regional Transportation Plan. Sean played a key role in implementing the MTC’s Complete Streets Policy as part of MTC’s One Bay Area Grant, a $320 million dollar program that resulted in 58 new complete streets resolutions and 34 general plans meeting complete streets requirements. Jessie Holzer was nominated by her peers for this award because of her trademark enthusiasm and passion for her work in active transportation. She has been instrumental in delivering Mayor Garcetti’s and Councilmember Bonin’s vision for the Venice Boulevard Great Street Project. Jessie actively advanced the Young Professional program at APBP through her hands-on work with the 2014-2015 Mentorship Initiative. She co-founded the APBP SoCal/LA chapter. Jessie has applied her dual Masters degrees in City and Regional Planning and Transportation Engineering from California Polytechnic State University, San Luis Obispo, to rise quickly in her field. Jessica Roberts’ work with clients combines education, encouragement and equity in innovative TDM programs. 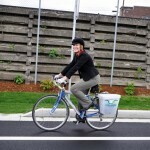 Her “out-of-the-box approach” was highlighted by her Pecha Kucha talk delivered in Haiku about Kidical Mass as a change agent at the 2014 Pro Walk / Pro Bike / Pro Place conference. 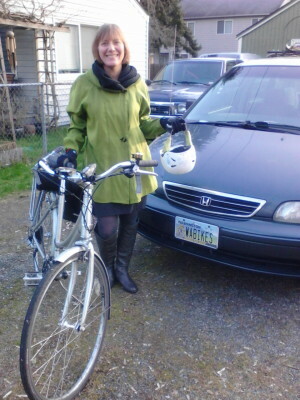 Nominators lauded her collaborative work with community leaders to “develop smart, effective programs that inspire people to change their transportation habits” as well as her willingness to share her expertise as a guest lecturer at Portland State University, on social media and via list serves (e.g., APBP and the Bike Equity Network). The Association of Pedestrian and Bicycle Professionals provides onsite and virtual education and networking for active transportation. APBP is the only professional membership organization for the discipline of pedestrian and bicycle transportation. APBP members are employees of all levels of government, consulting firms and non-profits; they work in the fields of engineering, planning, architecture, landscape architecture, police, safety, health and promotion and specialize in making places walkable and bicycle-friendly. Students may join APBP. A growing number of APBP chapters offer enlivened networking opportunities for professionals and students alike. For more information about the association, visit www.apbp.org. 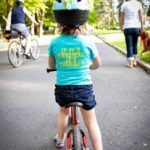 The Washington State chapter of APBP was the first local chapter established in the US, founded in 2013 with the participation of Washington Bikes, Feet First, and representatives of local design, planning and engineering firms. 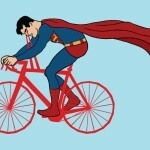 Who Are Your Everyday Superheroes of Bicycling? This article was posted in Advocacy, News. Bookmark the permalink. Follow comments with the RSS feed for this post. Both comments and trackbacks are closed.